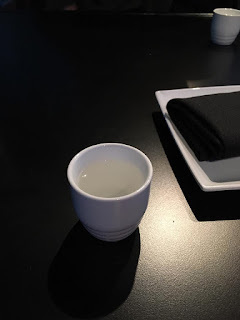 While I was back home in California, I went to a new Japanese restaurant called Shoyu Sushi that was opening up around the corner from where I used to live. They hadn't had their Grand Opening yet, but I thought it'd be good to try out since it was close and has 5-star reviews on Yelp. We had a really fun time there and plan to go back on the next CA trip. If you're in Central California or within a reasonable distance, check it out at 3605 Mt Vernon Ave, Bakersfield, CA 93306.